In comparison to the Del Monte banana story – Packaging News reported Nampak Plastics is to cut the weight of HDPE bottles by up to a fifth in the format’s first major redesign for more than a decade. 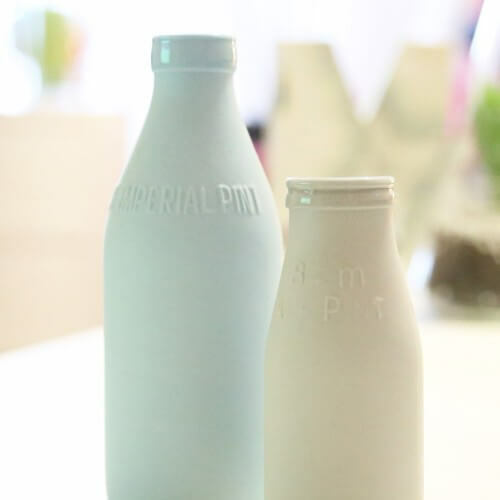 The dairy packaging specialist, which produces around 2bn bottles every year, is planning to roll out the Infini design this summer after a two-year development process that has cost £1m. Infini features an octagonal structure that allows thinner walls for the bottle, giving an average weight saving of 15% across the one-, two-, four- and six-pint and two-litre formats. The biggest weight saving, of 21%, is on the six-pint bottle. The new design also features a diagonally-set handle that is intended to give easier access to the bottle when it is in the fridge door. Nampak business development director James Crick described the pack as ‘an evolution, not a revolution’ and that the new format had performed well in consumer trials prior to today’s launch. He said the format would be instrumental in helping supermarkets reach their Courtauld 2 target for 2012 of reducing their packaging’s carbon footprint by 10% compared to 2009. This is a great example of the packaging industry driving green benefits for businesses and consumers – surely we should be milking its PR value to demonstrate the industry’s green credentials.